It’s been nearly 40 years since the first “official” Earth Day launched the modern environmental movement. As you take time out to think about it on Earth Day 2009, maybe you’d be interested in learning how we got here. The Closing Premiere at the 2009 Sundance Film Festival, writer/director Robert Stone’s Earth Days takes a look back at the push toward environmental consciousness in the 1960s and early 1970s, sparked by events like the publication of Rachel Carson’s Silent Spring and the 1973 Arab oil embargo. 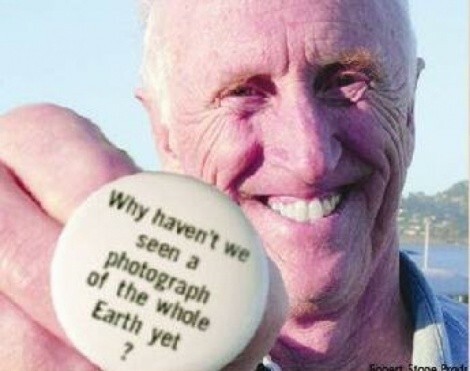 Stone employs present-day recollections by pivotal figures like population scientist Paul Ehrlich, Whole Earth Catalog founder Stewart Brand (pictured) and former Interior Secretary Stewart Udall, but he also finds terrific archival footage. While the result is in some ways a fairly straightforward PBS-style documentary, it’s also an inspiring look at the results of activist consciousness. Earth Days reminds you that loading your groceries into a canvas bag may be a start, but that so much more is possible. Earth Days @ Tower Theatre, 876 E. 900 South, 801-321-0310, Wednesday, April 22, 7 p.m.